Saturday there were so many choices that had to be made, yet for some unknown reason, something told me "go." Here in NE CT many events become part of the annual Walktober sponsored by The Last Green Valley, an organization dedicated to preserving the national heritage corridor. So many events, walks, hikes, paddles were being held that day, I felt like a kid in a candy shop! Anyway, you remember the Mohegan Indian Chief Uncas made famous from James Fenimore Cooper's Last of the Mohicans right? Well, something told me "just go" to see "The Legend of Uncas' Leap." Arriving early and while waiting in the car, I was totally taken by surprise as I watched an immature eagle circling above (not the best pic but it is an immature). Do you know some of the symbolism affiliated with EAGLES? Anyway, after a few short minutes, others began arriving and in joining them, I introduced myself to Val, a woman from Norwich. Gathering with the other participants who, like me, were there to visit the Yantic River gorge, the natural resource that is home to the legend of Uncas' Leap, I continued to see the immature eagle flying overhead. The tour was to be given by a gentleman from the Norwich Historical Society and a Mohegan Tribal Elder and I couldn't wait to hear the legend of the leap. 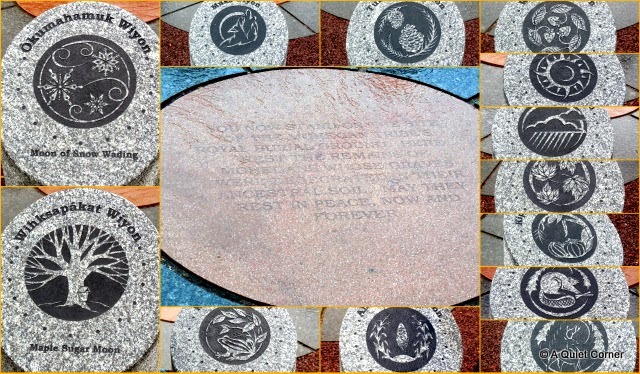 As we walked from the Uncas Leap Heritage Area to the Royal Mohegan Burial Ground, stories were shared with us revealing the deep significance of the Mohegan Tribe's Heritage and their present day connection. 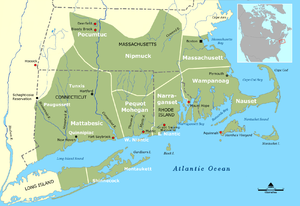 The majority of the stories, although not documented, are a result of "oral history" which had been passed down generation to generation to the Mohegan Elders. All I can say is that it was not only an eye-opening experience but also a heart wrenching saga of the Mohegan Indians. As I stood on the foot bridge overlooking the gorge where many fell to their death, my heart was full of emotions...anger, disgust for the way the Mohegans were treated yet grateful for my decision to come here and respectful as I listened and learned things you just don't read in history books. What broke my heart was to hear and see the reality of what became of the sixteen acre parcel of land the Mohegans were given for their Royal Burial ground...SIXTEEN STINKING ACRES...after they gave so much to the colonists. Now only a small parcel, the land was excavated with many artifacts removed without permission, including some remains of the Mohegan tribal members! The Elder spoke of rumors that some of the homes had headstones in their basements..."only rumors though," she said standing tall and with pride becoming occasionally overwhelmed with emotion herself. "You now stand on the site of the Mohegan Tribe's Royal Burial Ground. Here rest the remains of the Mohegans whose graves were desecrated in their ancestral soil. May they rest in peace, now and forever." They are approximately 2000 Mohegan members alive today. Saturday I was honored to meet one of them, a descendant of the great Uncas, a sachem (tribal chief) of the Mohegan. When the tour ended, as I headed back to my car, while emotions ran deep like the falls I passed, I looked up and saw that the eagle was still with me. What a great day, I enjoyed your choice of activity! It is sad to see how the Mohegans were treated! After all they were here first. Very cool eagle sighting! Very interesting, I'm going to have a look at the link. I don't remember the movie that well but hubby said he remembers the scene at the gorge from it. Amazing and sad. I am really happy you shared this with us and what a great opportunity you had! Our history with the first peoples is not pleasant to recall. So much grief and sorrow on both sides, and misunderstanding. Thanks for sharing. It's absolutely heartbreaking what settlers did to the original peoples of both our countries. I feel deep shame. Yep, European settlers ought to be ashamed of how they treated the natives on this side of the ocean, that's for sure! I did not know about the eagle symbolism! I believe we have never been a nation under God. Because look at how we treated the Indians, ran them off their own land!! And then there was slavery. This is enough to make God cry. We have always been violent and war-like, just the opposite of the message of Jesus. So very sad and how interesting too. Thanks for sharing JP. Tours are always more interesting when they bring about such deep feelings. Love your photos and all the info, too! History, rocks and water...three of my favorite things. I would have loved that outing.